A friend was upset with the Muslim school her youngest of four is going to. GCSE results have dipped in the last few years (it is not the top school in the borough anymore, only maybe third, sometimes fourth behind the other Muslim school, the Jewish school and the Hindu school). Some of the teachers there seem to have an uncritical view of the national curriculum – much more so than in the old days when her other three children passed through its doors from Reception to GCSE. There are other issues too, and her youngest being in Year 6 she determined to look at other secondary schools in the area thinking maybe this time, it would be back into the mainstream. Buoyed by the news that her old grammar school was in the top 10 state schools in the UK, she became nostalgic – how bad could the mainstream really be? She went to the first open evening of a local state school which, though mid-range at GCSE, rockets to the top of the league tables in the borough for its A-Level results. Her husband wanted to leave soon after sitting down as the school’s Latin motto was translated for waiting parents on the now obligatory power point as ‘Duty before rights’. It was downhill from there. A troupe of Indian music students playing ‘traditional’ drums (in full ‘ethnic’ attire) to a somewhat non-traditional beat, followed by a troupe of black girls dancing to Footloose. It was surreal, and whilst nothing was consciously malicious, the trajectory of boxed in ‘ethnicity’ and ‘culture’ for the students, was one she couldn’t see any child easily escaping. Similar experiences of schools, where the ethnic diversity of the borough is neither reflected in staff nor curricula, brought the couple back to earth. My friend’s tale is salutary. In 2004, Islamic Human Rights Commission embarked on a nationwide survey in the UK looking at citizenship and Muslim expectations of the British government. Part of that research asked the question ‘What Schools do British Muslims want for their children?’ Listening to my friend’s story combined with the recent furore and out and out misrepresentation of Muslim practices and the practice of a Muslim institution surrounding the Al-Madinah school, I was reminded of this work and some of its findings. There is indeed a bias of Muslim parents, surveyed by IHRC, towards Muslim schooling. Some 47.5% stated they preferred a Muslim school, only 8.5% preferred a mainstream school, the rest chose the option of the best school, indicating as the qualitative questioning confirmed that achievement rather than ideology was a key motivator in making this choice. What starts becoming more significant is when we look at how age and also experience of discrimination impact these findings. The age category that had most preference for Muslim schools was the group which at that time fell within the ages of 30 – 35, the age range that were most likely to have been born in the UK and gone to mainstream schools. 61.2% said they preferred Muslim schools. This belies the claim that the agenda for Muslim schools is fuelled by first generationalism, but also begs the question, how bad was the schooling experience for that age range that they reject it in such numbers? Then you look at the numbers when experience of discrimination is taken into account. The study showed that 71.8% of those who experienced discrimination ‘almost daily’ favoured Muslim schooling. In the largest category, experiencing discrimination ‘only on some occasions’, preference is almost equally spread between the ‘best school’ and ‘Muslim School’. The highest percentage of preference for mainstream education, 17.2%, is in the category of those who do not experience discrimination at all. 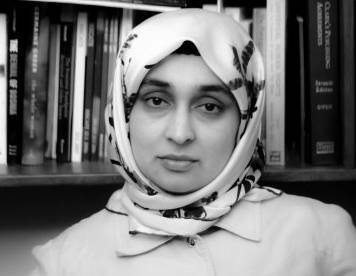 Experience of discrimination impacting on the desire for Muslim schooling is perhaps unremarkable, yet reasons given spoke of creating confident citizens who would be able to deal with and integrate into society once they left school, rather than a desire for segregation as often claimed by media and politicians alike. As significant, in retrospect, is perhaps the fact that less than 1 in 5 Muslims who had no experience of discrimination opted for a mainstream school. The preference of the best school in this scenario highlights again that Muslim parents much as any other just want the highest achieving schools for their children, whether Muslim or not. And, if we are honest, much as any other parent, Muslim parents too have little faith in mainstream state schools as being able to deliver this. Almost 10 years after this work was undertaken, and we find ourselves subsumed by a pernicious debate about Muslim schools (again), where government and opposition politicians jump over each other in attempt to placate an Islamophobic mob mentality over red herrings such as gender equality and discrimination, and the demonising of the wearing of hijab as inimical to this. Whilst paying the same taxes as everyone else, it appears Muslims have no right to demand the type of schooling they want, and thus having to put up with whatever is on offer, often low on academic standards and institutionalised against diversity, or pay for private Muslim schools. The report cited was part of a six volume series looking at key issues including media, political and legal representation, hijab, education, citizenship and discrimination. It is a sad state of affairs that the demonsiation of all things Muslim has continued unabated and in many cases become more extreme since the inception of the project. One of the many problems raised by respondents in the education part of this survey – from parents and students alike – was marginalisation from school curricula. The saris and samosas approach, where ‘other cultures’ are taught by white teachers using tropes such as food, ‘religion’ and arts, simply amplifies the objectification of the ‘other’ and the superiority of the culture that ‘teaches’ it. There is no Muslim, or frankly any other history or contribution to any subject taught. Students in particular noted that whilst teachers were often not trying to discriminate or were not actively racist, the students’ interaction with the curriculum left them depressed and demoralised. The disappointment in the demonisation of so-called ‘Islamic’ schooling is compounded by the demonisation of Muslimness. Mid 2000s the then Labour government commissioned a study into the divisiveness of so-called segregated schools – those state schools where for reasons of white flight, the majority of students came from one ethnic / religious community. Burnley and Blackburn were the test grounds, and the University of Lancaster commissioned to undertake this exercise. Dr. Andrew Holden’s report, based on the survey of 400 pupils across three schools in deprived areas, like our own, overturned stereotype after stereotype. The three schools studied were non-religious, in deprived areas, and were constituted thus: a school with students from a mainly Pakistani and Indian background, a mixed school, and an overwhelmingly white school. Whilst a tenth of children in the mainly Muslim school felt their race to be superior, nearly a third in the mainly white school felt they were superior based on race. In the mixed school the figure was somewhere near a fifth, and it has been argued that this result was better than the mainly white school, because of the impact of Muslims students within the school. The British government didn’t publicise this report much. It is clear to Muslims where chauvinism really lies. But the lies spread about them on a daily basis not only undermine an already beleaguered community, it distracts from the many crises in British education of which institutionalised racism is one of many. As for my friend, well, her youngest is staying at the Muslim school. It would be nice to think that by the time that child has school age children, the British state will have been able to redress the lack in state schools that crushes minority children’s sense of self, fails to provide many more children with a good standard of education, and which instinctively denies the contribution of most of the world to knowledge production and well-being. It may have also tried to tackle the extremism of white supremacy evidenced in its majority community students. Neither I, nor my friend, are holding our breath. Arzu Merali is a writer and researcher based in London, UK. She co-authored the report Secular or Islamic? What Schools do British Muslims want for their Children? with Saied Reza Ameli and Aliya Azam. Follow her on Twitter @arzumerali, and find her blog here.